I find these blossoms intriguing. 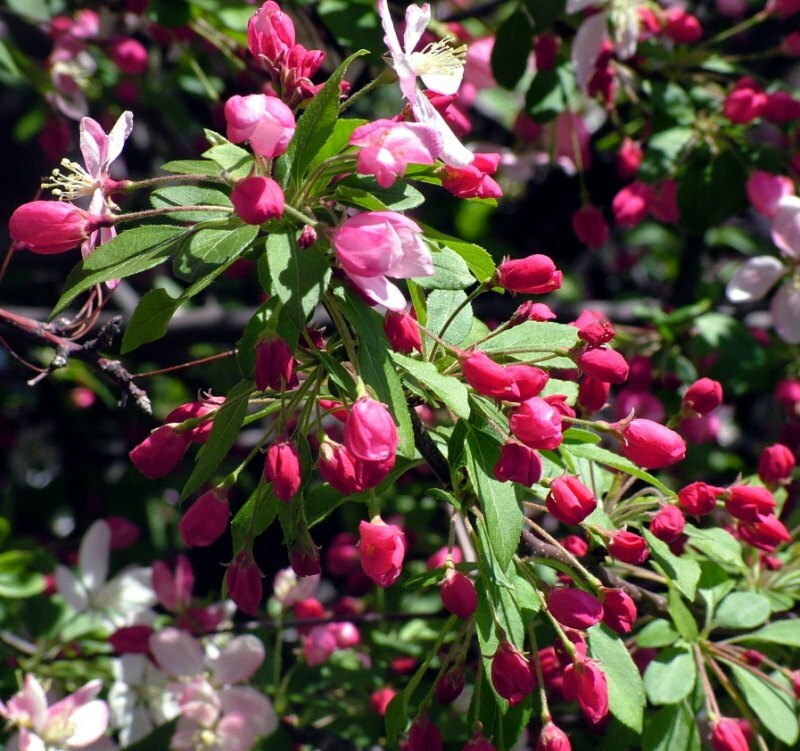 They start as a deep magenta color and blossom into a white and pink flower. :) Enjoy! I can smell it, it is true. The square is a critical one but it works really fine with the dominating diagonal in the flowers. Nice light and lovely combination of colours. So beautiful with nice light. Regards. These flowers remind me of Cherry Blossom,the non edible type?Beautiful capture with lovely tones,colours and clarity.If they are Cherry Blossoms we have them here in England and as soon as they open and show their lovely colours the rains and wind arrive and knock all the flowers off.Superb image Julia. Warm Wishes and Big Hugs,Brian. Great colours and floral details captured, nice light and spring mood! Hello my friend. Pleasant shot you have here. Very charming, as usual. Warm regards. and they are great.. you captured them in all beauty!